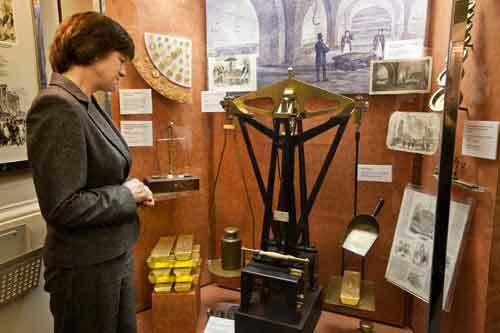 The Bank Of England Museum is all about the UK's main financial authority, the bank of England which is responsible for both regulating and promoting the stability of the economy. Discover the history of the bank from its beginnings in 1694 to its function in today turbulent changing economy. 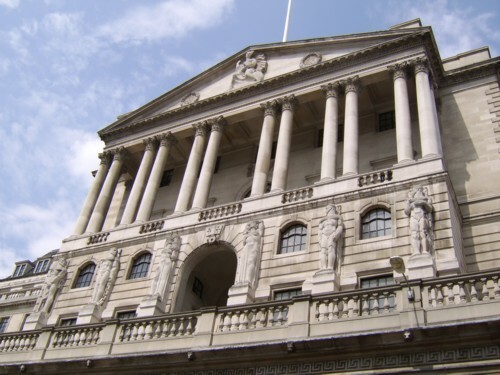 Short video of the outside of the Bank of England and the surrounding area. The Bank of England museum although not large is constructed in such a way that it leads you through the museum through narrow corridors and rooms and takes you on a journey through the history of the bank. I really enjoyed this London museum and found it so interesting and fun too, yes fun, now you wouldn't think that about a museum about money would you? The museum is housed in a beautiful building with a domed interior designed by architect Sir John Soane, and traces the history of the Bank from its foundation in 1694. The museum has been designed so that you are led through the museum in such a way so that you don't miss anything. 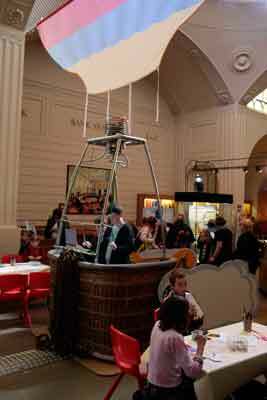 They have designed the exhibits to appeal to both young and old alike. For instance the young (and young at heart) will enjoy the interactive displays and the life sized moving models of William Pitt the younger and Charles fox re-enacting their famous debate in the House of Commons over monetary disciplines. One of the most popular displays is a real bar of gold which you are invited to try and pick up with one hand. 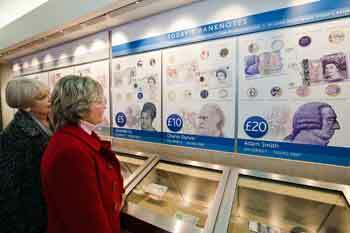 Having lived through Britain's decimalisation in 1971, many of the exhibits took me down memory lane as it displayed coins and notes long since removed from circulation . Before decimalation, rather than using a currency based on units of ten, British sterling used a system that could be traced back to pre Anglo-Saxon times, where there were twelve pennies in a shilling, and twenty shillings in a pound! Confusing it must have been and luckily i was too young to have had to worry about money before 1971. An evocative scale model depicting a street scene outside the Bank's first purpose built premises in 1734 (probably the first purpose built bank in Britain) in Threadneedle Street. To this day, the Bank is still sometimes referred to as "The Old Lady of Threadneedle Street". A simple museum but one which benefits from this uncluttered display. It allows the subject of monitisations and economy to be opened up to a world usually occupied and understood by bankers and economists to a much larger audience and does it in such a way that you discover you had an interest in this subject you never knew you had. Well worth a visit on your trip to London.